Sturt Football Club is saddened by the tragic death of one of our inaugural senior women’s player Ellen Maple. Ellen was a past Best & Fairest with Mt. Lofty Football Club and Premiership player with Norwood Football Club in 2016/2017 Season. 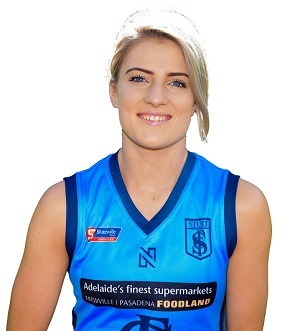 Ellen along with twin sister Tess moved to play for Sturt in 2017/2018 – our first season in the SANFL Women’s League. A determined, skilful midfielder Ellen will also be remembered as the first person to kick a goal in the SANFL women’s competition. One of the competition’s leading possession players, Ellen was named in our best players in seven of her eight games this season. Our thoughts are with Ellen’s family and friends including players and officials from our Club, Norwood and Mt Lofty football clubs.